With autumn on the horizon, men are seeking to build a fall wardrobe. We're here to help you with an all-occasions list of the basics every tall men must have. 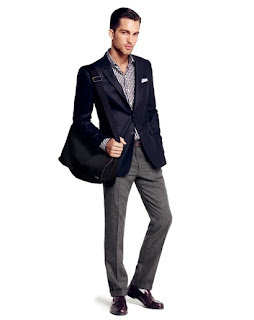 The Navy Blazer is a classic addition to any man’s closet, but especially that of a tall man. Tall men look best in a blazer with a single back vent and 2-3 buttons. Cap-toe shoes, while funkier than an oxford or a loafer, can be worn with almost anything, from jeans to a full suit. The cap toe can also help to minimise the look of big feet, which can look positively clown-like in a pointier shoe. With winter chills just around the corner, it is time to move breezier suits to the back of the closet. A wool suit will keep you warm throughout the season. Look for autumn colours like deep charcoals and dark browns. The herringbone pattern in particular can help to keep a tall body in proportion. The formal occasions of fall are different from those of summer. A fitted dinner jacket will see you through a wide variety of business dinners, charity events, or weddings. When considering what length jacket to buy, follow this system: if you are between 170-180 cm wear a regular jacket; 181-193 cm wear a long; and above 194 wear an extra-long. The Peacoat is one of the best wardrobe investments for fall. 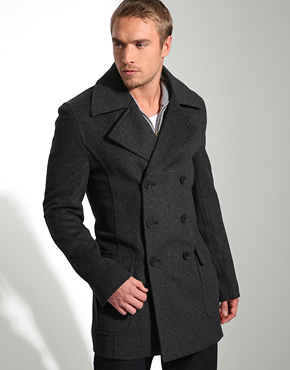 Wearing a peacoat adds structure to men of all builds, emphasising the shoulders and adding masculine shape. Biker jackets are not only one of the trendiest looks for autumn, they are also one of the most troublesome for tall men. Many motorcycle jackets are cropped short, which can throw tall men out of proportion. However, there are several styles out there that fit longer bodies and look great. A plus? Biker jackets can add volume to the bicep area. Every man who wants to look great while feeling comfortable should own a henley. Or two. Henleys can be worn under thinner shirts to keep you comfortable or just worn solo with a pair of dark jeans. Tall men can layer a long sleeve henley under a short-sleeve t-shirt or over a polo shirt to break up the body and add visual interest. Hoodies can thrive in other places than a university dorm floor. This lazy staple can be classed up by choosing a fitted design in a quality fabric. 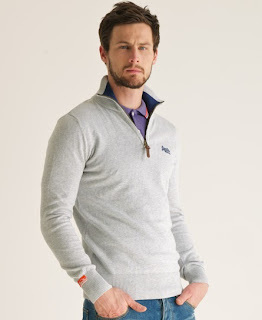 Tall men should avoid a hooded sweatshirt that rides up or is too short in the arms. Plaid shirts come in all shapes, sizes and styles. 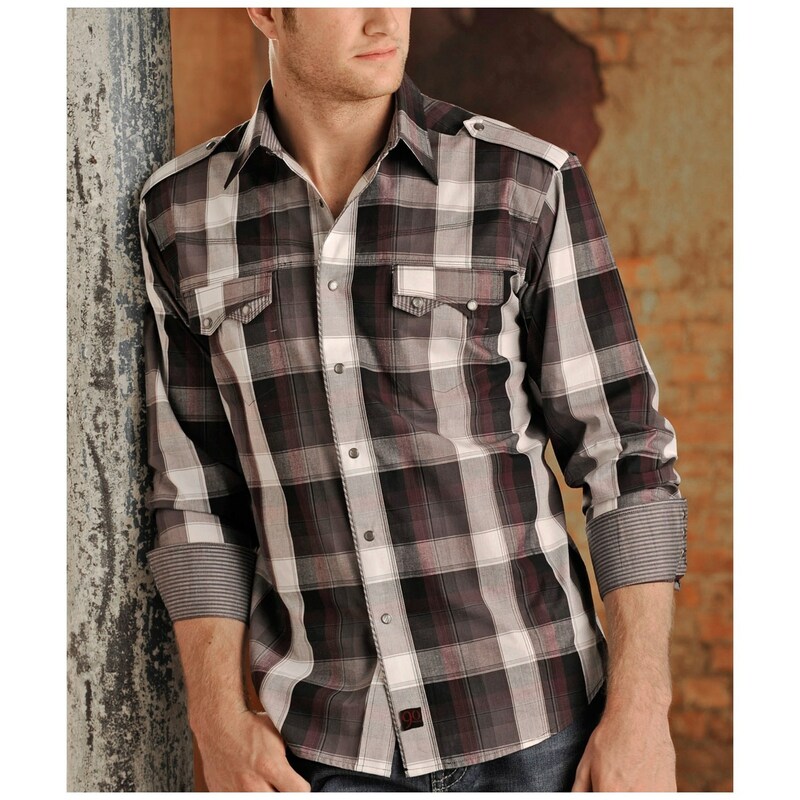 Whether you’re a burly chested bearded lumberjack or a svelte tall rocker, you can find a plaid that will fit you. Remember, the key to fitting a shirt lies mostly in the shoulders. 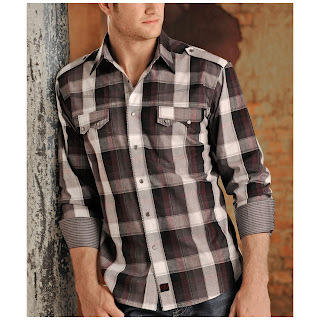 If the shoulders of a plaid fit snugly, yet not tightly, the rest is likely to fit well, too. Now you're on your way to a complete fall closet. If you'd like to receive more fashion tips tailored to your body type, enter your email address and subscribe to Sizemikk.